The Rodney L. White Center is pleased to announce that Nobel Laureate Lars Peter Hansen is the latest Rodney L. White Center Visiting Scholar. He visited the Wharton School’s Finance Department in October 2018. Lars Peter Hansen is the David Rockefeller Distinguished Service Professor in Economics, Statistics, Booth School of Business & the College, University of Chicago. He joined the faculty in 1981. A leading expert in economic dynamics who works at the forefront of economic thinking and modeling, drawing approaches from macroeconomics, finance, and statistics, he is a recipient of the 2013 Sveriges Riksbank Prize in Economic Sciences in Memory of Alfred Nobel for his work in asset pricing. The Nobel Prize recognizes this work, which has been used to test theories and models that have shaped our modern understanding of asset pricing. 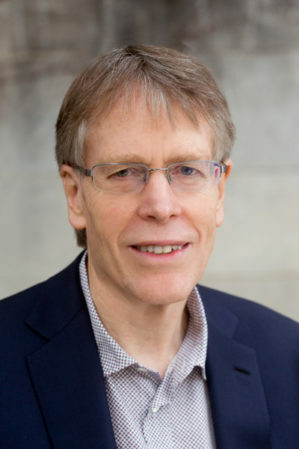 In 2010 Professor Hansen won the BBVA Foundation Frontiers of Knowledge Award in the Economics, Finance and Management “for making fundamental contributions to our understanding of how economic actors cope with risky and changing environments.” In 2008, he was awarded the CME Group-MSRI Prize in Innovative Quantitative Applications. This award is designed to recognize individuals or groups who contribute original concepts and innovation in the use of mathematical, statistical or computational methods for the study of the behavior of markets, and more broadly of economics. Professor Hansen is one of two scholars to receive the prestigious 2006 Nemmers Prizes in economics and mathematics, believed to be the largest monetary awards in the United States for outstanding achievements in those two disciplines. His recognitions also include Fellow, Econometric Society, 1984; Frisch Prize Medal Co-winner, 1984; Member, American Academy of Arts and Sciences, 1993; Member, National Academy of Sciences, 1999; President, Econometric Society, 2007. Professor Hansen’s recent research explores how to quantify intertemporal risk-return tradeoffs and ways to model economic behavior when consumers and investors struggle with uncertainty about the future. Improving models that measure risk and uncertainty have important implications for financial markets, fiscal policy, and the macroeconomy. During his visit to Wharton, Professor Hansen presented his paper, Fragile beliefs and the price of uncertainty, co-authored with Thomas Sargent. Professor Hansen received a bachelor’s degree in mathematics and political science from Utah State University and a doctorate in economics from the University of Minnesota. He has also received numerous honorary degrees, including an honorary doctorate from Utah State University in 2012. Click here to link to Professor Hansen’s personal website for his full CV, teaching/research activities, events and press.